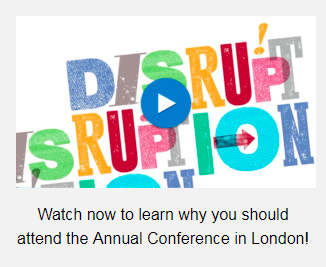 In the video below, Financial Times senior investment correspondent John Authers queries speakers at the 67th CFA Institute Annual Conference on topics ranging from systemic risk and the global pensions crisis to behavioral finance, hedge fund fees, and the efficacy of smart beta strategies. Sheila Bair (Systemic Risk Council, Pew Charitable Trusts): Much higher capital requirements for banks are needed, as is better oversight of derivatives. The former chair of the Federal Deposit Insurance Corporation would also like to ban speculative use of credit default swaps. Ron Ryan, CFA(Ryan ALM): The worldwide pension crisis is really a contribution cost crisis, and when asset growth does not equal or exceed liability growth in dollar terms pension systems have no choice but to raise contribution levels — often dramatically. He cites the example of the New York City Employee Retirement System (NYCERS), whose contribution costs soared from $68 million in 2010 to more than $3 billion last year. C. Thomas Howard (AthenaInvest): When picking investment managers, look at behavior, not performance, which isn’t predictive. Are managers following a narrowly defined strategy? Are they pursuing it consistently? And are they taking high-conviction positions? This entry was posted in Alternative Investments, Behavioral Finance, Derivatives, Equity Investments, Standards, Ethics & Regulations (SER) and tagged banking sector, behavioral finance, Efficient Markets, hedge funds, Manager Selection, pensions, systemic risk, video. Bookmark the permalink.